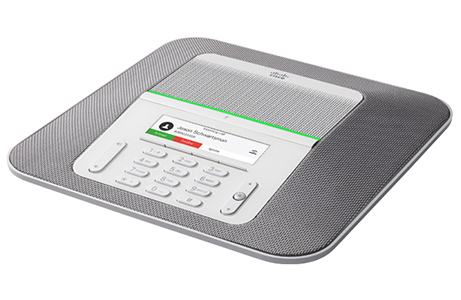 The Cisco IP Conference Phone 8832 makes communications easy, reliable, and highly secure. It helps you collaborate with colleagues, suppliers, and customers to advance your business goals. The 8832 delivers high-quality, full-duplex, wideband VoIP communications. Its 360-degree coverage addresses the needs of medium to large conference rooms up to 800 square feet. It also serves private office desks, such as those for executives.